Bitcoin startup Abra has completed a $16 million Series B led by manufacturing giant Foxconn. Announced today at the Money2020 conference in Las Vegas, the new capital brings Abra’s total funding to more than $30 million. Other participants in the round include new investors Silver8 Capital and Ignia, as well as previous Abra backers Arbor Ventures, American Express, Jungle Ventures, Lehrer Hippeau and RRE. However, just as notable is that the round marks Foxconn’s first investment in a bitcoin-focused firm. While, previously, Foxconn has tested blockchain technology for supply chain management, its investment in Abra shows a new willingness for the company – best known as the manufacturer of Apple’s iPhone – to embrace other potential use cases. 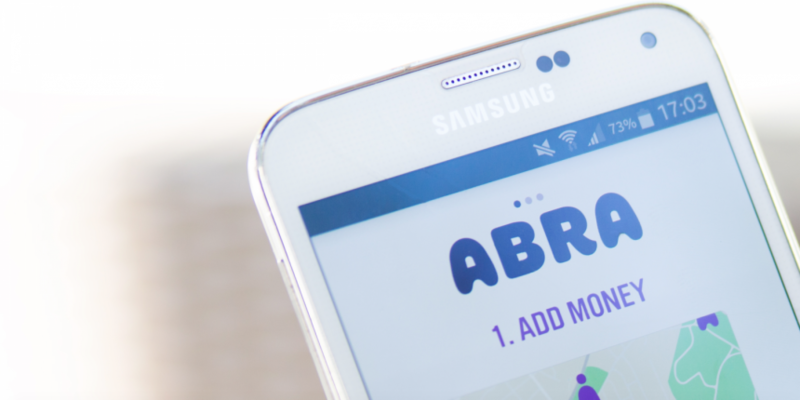 Since Abra is a purveyor of a bitcoin remittance app, the investment could be read as a business-to-consumer and financial inclusion play. Still, Abra founder and CEO Bill Barhydt was quick to note that he envisions his company’s technology as having broader implications, including those that might be of interest to large manufacturing firms. Armed with a platform that enables bitcoin micropayments and smart contracts, Barhydt went so far as to project that Abra’s technology can underpin a new type of consumer credit product. In this vision, makers of refrigerators, televisions and more could lease appliances to people who may not want to pay the full value upfront – with blockchain technology giving consumers an incentive to make installment payments. To be sure, the idea of smart contract-connected IoT appliances has been talked about for years, with little to show for it so far. Further, Foxconn’s investment is just that, and no manufacturer has yet committed to testing out Barhydt’s idea. But Foxconn finds it compelling. Jack Lee, a founder and managing partner at HCM International, the manufacturer’s venture capital arm, said he believes that Abra could usher in what he called a “new era” of financial inclusion via solutions like credit services. Also boding well for the leasing concept is the fact that, in addition to its contract work for companies like Apple, Foxconn also owns Sharp, the consumer home appliance brand. “I’d hope they’d be one of the first [to try it],” Barhydt said. But while ambitious, the plans are not without precedent. Barhydt’s new vision was inspired by his travels in Africa, where he saw how solar companies were integrating products into mobile money systems like Kenya’s M-Pesa by embedding cellular modems in hardware. If the consumers made weekly payments, solar lanterns worked; if not, they would be remotely shut off. This pay-as-you-go “jukebox model,” as Barhydt calls it, has made solar more widely affordable. Bitcoin, Barhydt contends, enables replication of that consumer financing model on a global scale, for a broader range of consumer asset purchases – particularly when used in the background the way Abra does. While consumers who use Abra’s flagship payment app can hold balances in local fiat currencies (it’s actually bitcoin, hedged with smart contracts), transfers between wallets ride on bitcoin’s rails, which know no borders. That global reach would enable manufacturers to offer this kind of digitized credit to consumers in more places, Barhydt said. Of course, this new consumer credit use case depends on bitcoin being able to resolve its longstanding scaling challenges and hold down network transaction fees so that regular, small payments become viable. “Everything I’m saying assumes that bitcoin scales correctly,” he said. In the short term, this means Barhydt believes bitcoin needs the capacity benefits from a block size increase, and that he favors the contentious Segwit2x hard fork expected in mid-November. Still, despite the uncertainties surrounding bitcoin, Barhydt said he considers the protocol “uniquely qualified” to execute the kind of smart contracts Abra already uses for payments and investment products and that it now hopes to pioneer for consumer asset finance. Even though ethereum, unlike bitcoin, was designed specifically for smart contracts, “there’s still a lot of security issues” with that protocol, he said. Moreover, Abra’s smart contracts basically boil down to moving value from A to B under certain conditions, which is simple enough for bitcoin to handle, Barhydt said. Disclosure: CoinDesk is a subsidiary of Digital Currency Group, which has an ownership stake in Abra, and also helped organize the Segwit2x scaling agreement. HCM is also an investor in DCG.